Charles Darwin University demographer Tom Wilson is frequently confronted with assertions about population that have a certain mythological currency in the Northern Territory. Below he examines these myths and provides statistical evidence to banish them to the realm of fiction. Reality: Large numbers of people move to the Territory each year from other states and territories (and from overseas). During the 12 months to 30 June 2006 for example, the Australian Bureau of Statistics estimates that 15,981 people moved interstate to the Territory. For a population of about 207,000 residents this is a lot of migration. In fact the Territory has the highest in-migration rate of all the states and territories! The reason interstate migration does not contribute much to population growth is that the Territory also loses a large number of people through migration. Over the 12 months to 30 June 2006 an estimated 16,367 people left the Territory for other parts of Australia. The number of arrivals from the rest of Australia minus the number of departures – called net interstate migration – was -386. In other words, 386 more people left the Territory than moved to it. This net migration figure is often mistaken for the actual number of people coming to or leaving the Territory. Reality: It won’t. The Indigenous population currently comprises about 30 per cent of the Territory’s total population. Research by Charles Darwin University suggests coming decades will see a modest increase in this percentage, to around 34 or 35 per cent by 2031. Although the Indigenous population is growing at reasonable pace, so is the non-indigenous population, hence the limited change in percentage. Reality: Births statistics for recent years (2000 to 2005) show that about two thirds of births were to mothers usually resident in the Greater Darwin region (Darwin, Palmerston and Litchfield Shire), plus Alice Springs and Katherine. This is not surprising given that 7 out of every 10 Territorians live in these areas. However, a majority of Indigenous Territorians live outside these areas (about two thirds), and the majority of Indigenous births are to mothers resident outside these areas. Reality: Unlikely. The Territory’s population is currently growing at a reasonable pace, but nowhere near fast enough to get to 500,000 by mid-century. Charles Darwin University projections show that over coming decades the long-run growth of the Territory’s population will average out at about 1.2 to 1.3 per cent per year. Although it’s impossible to give a precise figure for as far out as 2050, the population is probably going to be somewhere between 300,000 and 400,000 by then. Half a million is not completely outside the realms of all possibility, but very much a long shot. Reality: Indigenous life expectancy in the Territory is improving. Research shows that it has improved substantially over the last four decades. In the late 1960s Indigenous life expectancy was about 52 years for men and 54 years for women. By the early 2000s male life expectancy was up to 60 years whilst female life expectancy had reached 68 years. However, because non-indigenous life expectancy has also improved significantly over this period, the gap between Indigenous and non-indigenous life expectancy remains, regrettably, enormous. Reality: The Territory does have relatively few elderly people, but attention certainly needs to be paid to population ageing. Population ageing is said to occur when the percentage of the population aged 65 and over is increasing. This age group currently comprises just 4½ per cent of the Territory’s population (compared to 13 per cent for Australia as a whole). But this percentage is rising for the Territory. In fact the Territory has the most rapidly ageing population of all the states and territories. Projections suggest that the percentage of the population aged 65 and over is likely to double by 2031, though the Territory will continue to have a much smaller percentage in these ages than the rest of Australia. Nonetheless, the increasing importance of the elderly in the Territory’s population raises some important challenges (such as appropriate housing provision and medical care) as well as some important opportunities (such as more grandparents living locally rather than interstate, and a less transient population). 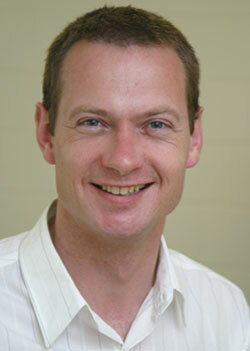 * Dr Tom Wilson is a demographer and senior research fellow in the School for Social and Policy Research at CDU. He can be contacted on 8946 7202.